Several years ago, clinical trials in India were a booming business. 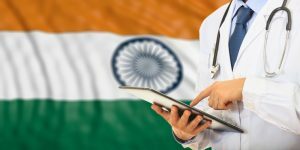 After becoming fully compliant with TRIPS in 2005, India was seen as a favorable place to conduct clinical trials as they boast a huge genetically diverse population, as well as a multitude of skilled health professionals. Additionally, it is estimated that India based clinical trials offered a 35-60% cost reduction compared to western based trials. However, as a result of ethical concerns and litigation surrounding the industry, stricter regulations were brought forth in 2013 to protect clinical trial subjects. This led to an abrupt decline in clinical trials in India. Pharmaceutical companies became wary of the new imposed rules that were unclear and the potential costs that they could incur. For example, the new rules stated that trial subjects were to be given free treatment as long as required by the drug company. However, it was unclear if they meant for the life of a patient or rather for a specific ailment or side effect. It was ruled that trials would need approval by a government committee. Also it stated at least half of each trial would be completed in a government-run hospital. Additionally, due to comprehension and language barriers, companies now needed to have a videotaped consent of each participant. After a serious decline in a once booming sector, government forces gathered with industry professionals to once again review the imposed regulations and this time to offer more clarification. According to Clinical trials in India – Changing regulatory environment, it is showing signs of improvement. For example, uncertainty around patient compensation has been clarified, as well as concerns regarding the audio-visual recordings of patient consent. Language in India is incredibly diverse, with 22 official languages recognized by the Constitution of India. While Hindi is the official language of the Indian Union, there are still hundreds of different languages currently spoken. This creates a challenge for language service providers. Due to the vast linguistic landscape, informed consent forms and other patient facing material need to be translated into many different languages. As the path for clinical trials recovers, language service providers like CSOFT are ready for India’s vast diversity.